Ima collecting lots of voices from other games. Star Craft has a bunch I am putting in my mod. Have a listen to my TEC radio voice overs using real military pilot recordings. What type of music are you looking for. My library has loads of movie OSTs. Check out my Sins of Humanity Soundtrack page and preview a few of mine. Thanks, I've been working on this for quite some time now. I hope to add more content here and on my wiki page as I get closer to an alpha release. This is my first venture into modding so I've been having fun. Cool, check this out as well as the Sins of Humanity soundtracks. I shall assist in every way I can. hey zombie, you need any possible help? i could come up with some ideas for ships and stations. cannons / guns. send them to you and you can edit it some. etc etc. Hey Alexrose, This is a good community and I would accept and give credit for any help provided if incorporated into the mod. 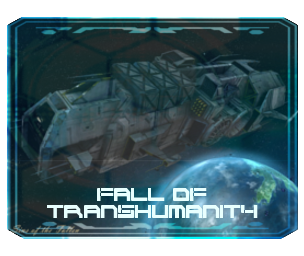 Here is an example of the Plague Colony capital ship Reply #86. 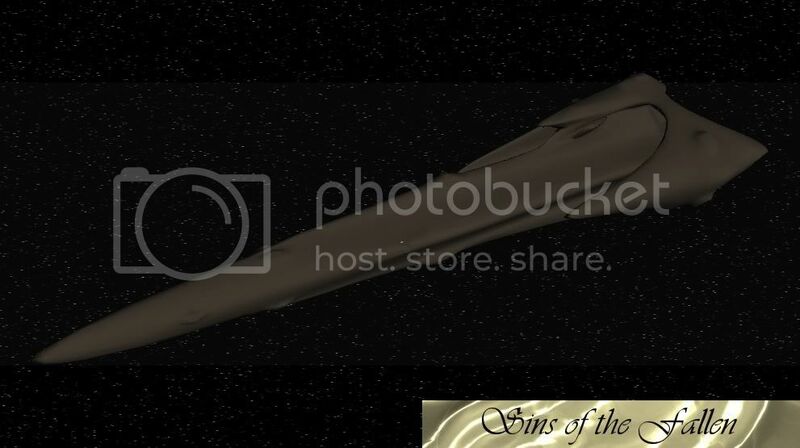 Here is the Nephilim Long Range Frigate I will be using Reply #2. I'm open to new concepts or ideas in this regard though as I've only recently come to terms with how I want the Plague structures to look. anyway you could post the 2 cultures. well like capital ship of the 2 cultures your maknig so i can get a better idea of what your gonig for. or all your ships your making and which of the two they are? I understand, I'm just not quite ready to post pics of the fleets yet as I might make some changes. I'll PM you a location that has several of the pictures. and if you would rather use it, I updated the picture in my thread's header to include all of the transparencies. Myfist0's has no transparency in the middle. 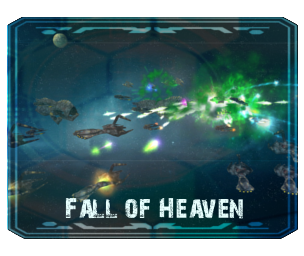 Star Craft has a bunch I am putting in my mod. Not a problem, I will be using the particle effects you already sent. Just trying to set this page up is all. So ya, I'm going to want something a little dark or forboding with the Plague race. Upbeat wouldn't really cut it. Maybe something a little arrogant or chanty for the Nephilim race. Also, for the voice overs here is an example of what I was wanting to try. CapitalBattleship Plague OnAttackOrderIssued I warned you! CapitalBattleship Plague OnAttackOrderIssued Scream all you want! 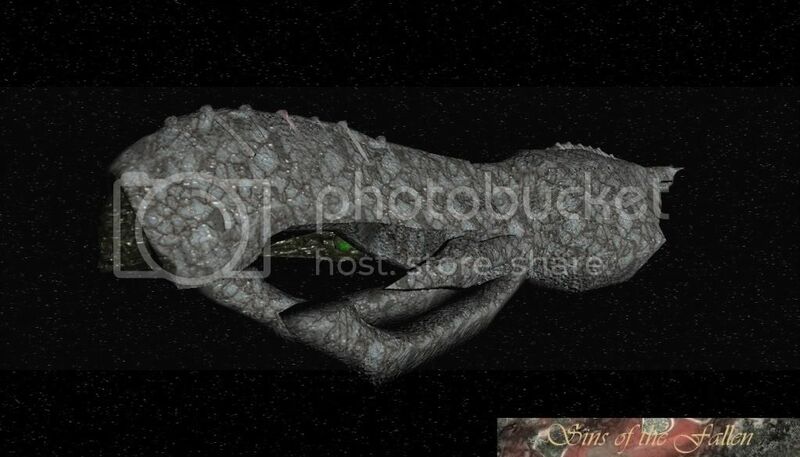 CapitalBattleship Nephilim OnGeneralOrderIssued Are you sure? CapitalSiege Nephilim OnAttackOrderIssued They're going to burn. Is this awesome mod ready for downloading? Will it be avaliable for vanilla sins? Thanks for the interest. No the mod is still in the alpha stage currently. I also only plan to support Diplomacy at the moment. I may include Entrenchment after the mod is more mature. Hi guys, thought I might start posting some pics of the concept ships that will eventually make their way into the mod. Please keep in mind many of these ships will not be heavily textured or detailed initially. An immense mothership that carries many infectious agents. 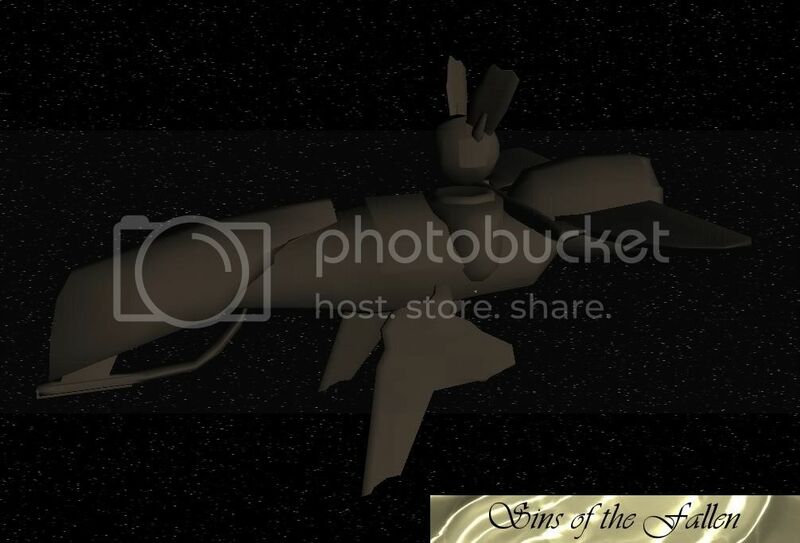 * Concept ships are lightly textured and detailed models and will undergoe many changes/improvements. Quote: I will purge the infestation! Quote: Our duty is eternal! Quote: I feel your presence! Quote: I hear the call! hmmm... cruiser I think... the new one I sent as well... I think that would be better off as a cap ship but it's up to you... it could be used as a cruiser carrier. The Atlantis could be used as a support class or maybe even an assault class. 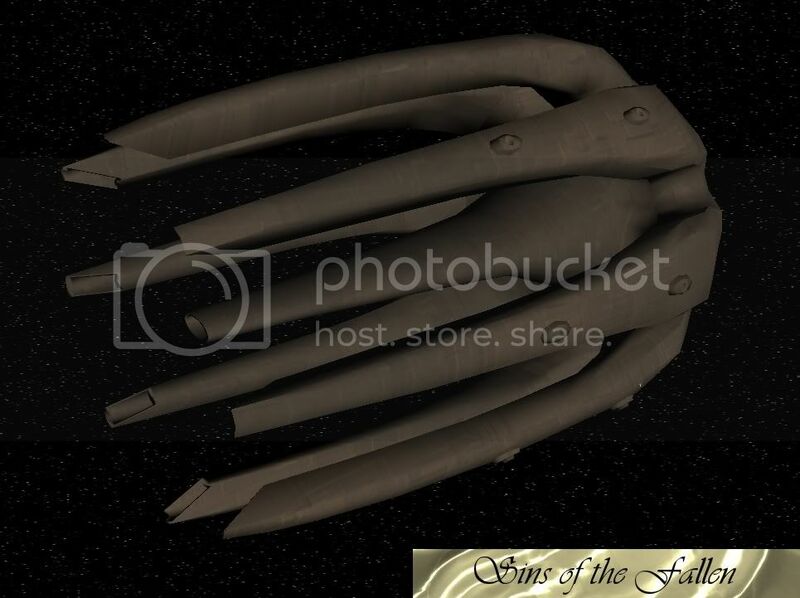 Depends on what you yourself would want to do scaling wise, the Reverence is much larger than the Atlantis model as this can bee seen by the reference pics I based them off of as well as the size specs on the ship were also listed. As for other ships I have two other ships I've done, they need a bit more work but I think they would be good as frigates maybe? 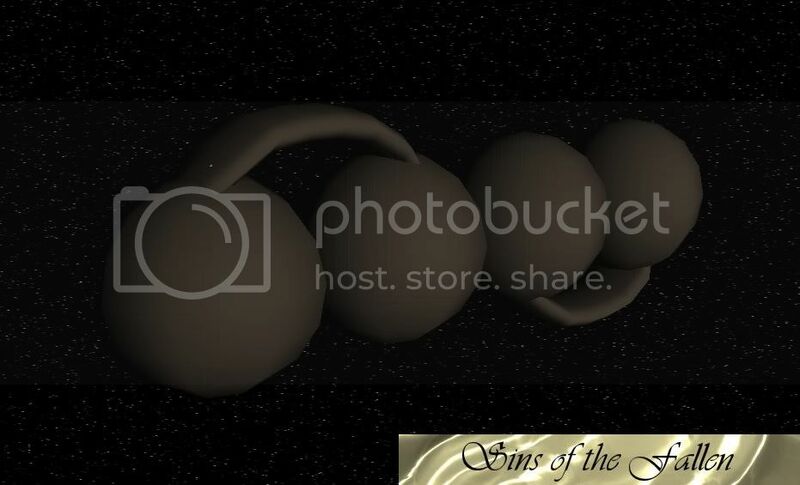 An immense mothership that carries the most devote. It has many support abilities. Quote: You think as I do! Quote: My miracles shall be seen! Quote: Faith is our Shield! Quote: Faith without deads is worthless! Heya ZombieRus, I had a couple of thoughts for the plague race, feel free to disregard them if they're not the direction you are taking the race in! 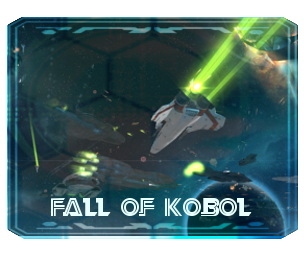 1st, have their standard weapons do minimal direct damage, but have damage over time(DoT), to give the feel of the enemies ships being eaten away by bio-plasma. I can see it possibly being a problem though if hte infobox gets filled with miniscule DoT lines, so possibly make the ships' DoT effects cumulative, so you end up with a single large value rather than lots of little ones. 2nd, Instead of fighters and bombers, i was thinking it would be cool to have only bombers, and have them suicide onto enemy ships. small squadrons and low health, but rapid build time. Just to keep things fresh! again, there is a downside i've already thoguht of, they would need a different weapon class to usual so that they are effective against LRM spam. To make up for the lack of fightes on the defensive, i was thinking have the flak frigates have no guns, but a damage over time aura, to compensate for the lack of fighter support. That aura would have to replace rather than stack though, to prevent a small clump of flak frigates being untouchable by fighters or bombers. I hope some of this is food for thought, if nothing else! This is a problem I've been considering recently. The current theme of weapon damage 5% upgrades is something I initially modded but have found to be boring. I've been leaning towards a purely ability based upgrades on weapons to make it more interesting. This idea fits nicely with what I have been considering. The bomber is a good idea. I think there is a way to balance this out with like stated with rapid build times. Removing fighters is riskier though as bombers are pretty OP in the game currently. There would need to be a way to deal with bomber based fleets (i.e. a counter would still be needed). Your idea of the flak frigate is very interesting, my concern is it would have to function as the fighter counter and the bomber counter. I'm actually wonderg if the same concept for bombers can be done for fighters and make the whole thing kamazi attacks. I like the ideas and I'll mull them over to see how they could be implemented with balance in mind. p.s. if I even come close to using either of these ideas I will include your name as a resource on this mod.